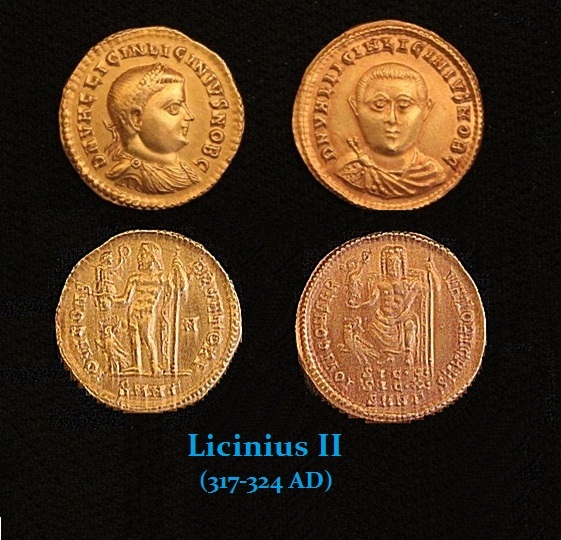 Valerius Licinianus Licinius (II) was the son of Licinius I co-Emperor and rival of Constantine the Great. He was raised to the rank of Caesar on March 1st, 317 AD at the same time as Crispus and Constantine II. 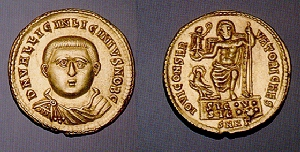 Following the victory of Constantine the Great over the forces of Licinius I in 324 AD, the lives of himself and his father were initially spared by Constantine on the intercession of Constantia, sister of Constantine who had been married to Licinius I. However, Constantine, rarely a man of his word, reversed his position and executed his father in 325 AD and Licinius II in 327 AD.